يقع في Katoomba, Echo Point Motor Inn إنه المكان الأنسب لاكتشاف بلو ماونتيينز و ما يحيطها. إن موقعه الجيد الذي يبعد 1.5km فقط عن مركز المدينة يساعد النزلاء على الاستمتاع بمعالم المدينة ونشاطاتها. كما يمكن الوصول بسهولة إلى تشكلات الأخوات الثلاث الصخرية, عالم الجبال الزرقاء الخلاب, Leura Cascades. يعمل Echo Point Motor Inn على ضمان إقامة مريحة لضيوفه من خلال خدماته الممتازة وحسن ضيافته. إن مرافق مخصصة لذوي الاحتياجات الخاصة, تسجيل وصول/خروج سريع, تخزين الأمتعة, واي فاي في المناطق العامة, صف السيارات هي جزء فقط من الخدمات التي تميز Echo Point Motor Inn عن باقي الفنادق في المدينة. ادخل إلى واحدة من الغرف 35 وتخلص من عناء نهار طويل بمساعدة مجموعة كبيرة من الخدمات كمثل تلفزيون بشاشة مسطحة, اتصال لاسلكي بالإنترنت, غرف لغير المدخنين, تدفئة, مكتب الموجودة في بعض الغرف. يمكنك طلب اللائحة الكاملة للخدمات في الفندق ومن بينها حديقة. إن كنت تتطلع إلى إقامة مريحة وهادئة في بلو ماونتيينز، فستجد في Echo Point Motor Inn بيتك الثاني. 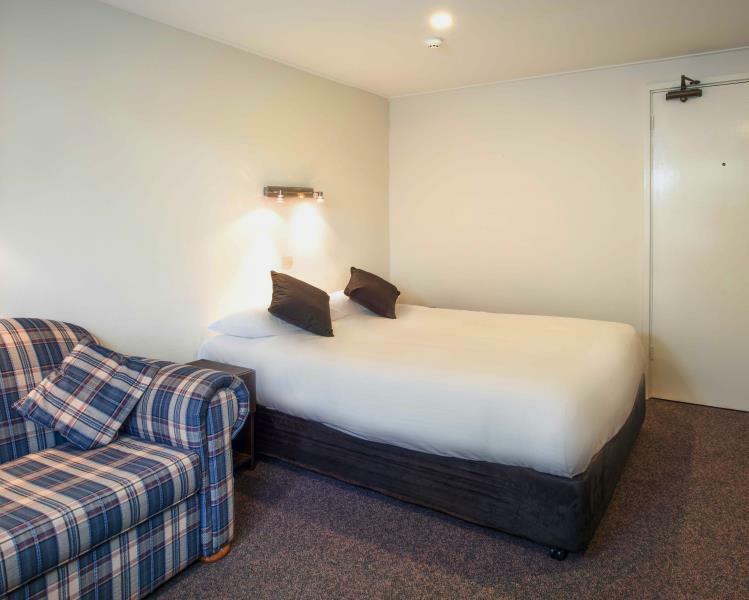 Good value for money for an overnight stay in the Blue Mountains. Staff were helpful with a late check in. The room was a bit tired but the price was fair for the standard. It was clean and the heating was good which is important in the mountains in winter. Tip: if you have a car, leave it at the hotel and take the 5 minute walk to the Three Sisters lookout and save on the cost of parking at the attraction. Late opening Woolworths supermarket is about a 5minute drive back toward the centre of Katoomba town. Very handy to Three sisters and various hikes. Continental breakfast was good. Check in process when arriving late is a little interesting to say the least. You have to phone the night manager who won’t help you until you book on line. Wifi is average. The property is brilliantly located only minutes from the three sisters lookout, which means you can wander down to see them floodlit at night if you want to. Accommodation is very simple, slightly tatty but the beds were clean and comfortable and the value for money is excellent for its location. 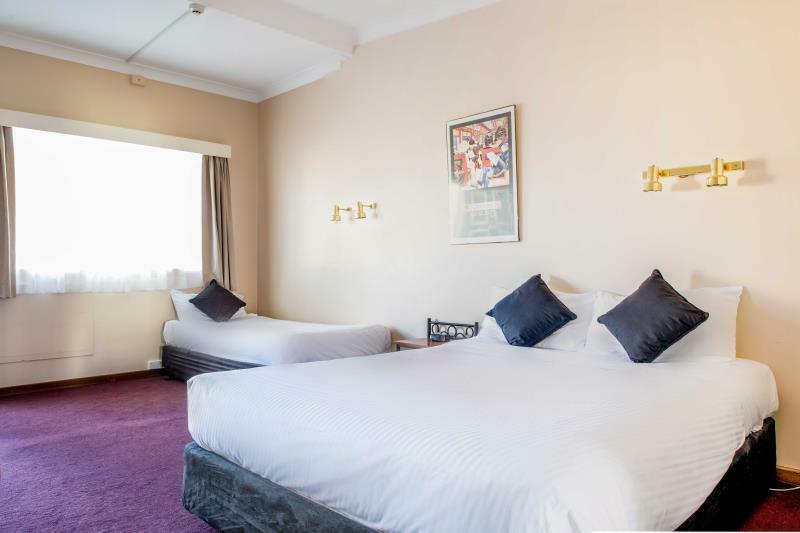 Such a good accommodation option for the Blue mountains, right near 3 sisters, it is also one of the explorer bus stop points, access to public transport and 20min max walk to town centre. We will be back for sure! I have stayed at the Echo Point Motor Inn a few times now, and I jut can't go past it for value, location and facilities. Sure, it is slightly older, however look at the location, only a few minutes walk to the three sisters lookout, easy access to the township and discounts at some of the restaurants. I have had an easy fast checkin this time, same as last time after booking with Agoda. the rooms have everthing you need, fridge, coffee tea making and tv (tv reception is not the best, but am noticing that everywhere with digital tv now). There is actually quite a nice bar in the hotel area, inside the reception where breakfast is served. Internet can be obtained for multiple devices for only $5 which is a bargin compared to all other hotels. I did try breakfast this time, and was quite happy, for $7 dollars you can't go wrong, you won't find this value at any other hotels. The room and bed was toasty and warm which was good because on the night I arrived it was actually snowing very heavily in Katoomba. I will definately stay there again, and always book early as I would not prefer to stay at other hotels because Echo Point is the best location and I have researched where other hotels are and their prices, I can't go past this one. The hotel does fill up, especially on weekends so book a little in advance if you can. The room we stayed was spacious, clean and comfortable. The bed was also very comfortable. The bathroom and toilet was clean and complete with soaps, shampoos and good towels. There is a mini-fridge and also complimentary coffee/tea. There are ample parking spaces. We opted for a hot buffet breakfast which can be taken at their sister-hotel at the town centre. It is reasonably-priced (AUD12/pax) and is less than 2 minutes drive. The best to come is that it is just less than 2 minutes walk to the main attraction point - the lookout to major attractions like the 3 sisters, Jameson Valley, Scenic World, the Visitors' Centre, etc, etc. 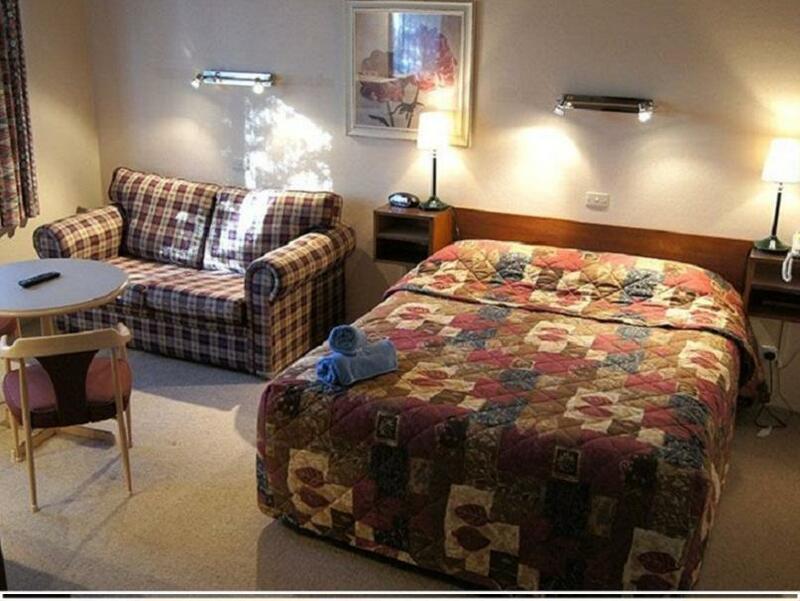 Rooms - spacious, clean and well-maintained. Location - right by the Three Sisters Lookout, but a bus ride or a bit of a walk from the town center. Staff - very helpful and friendly. Hats off to the property manager Jason, who really helped us out and even offered us several rides to the town center at Katoomba. Thanks so much! 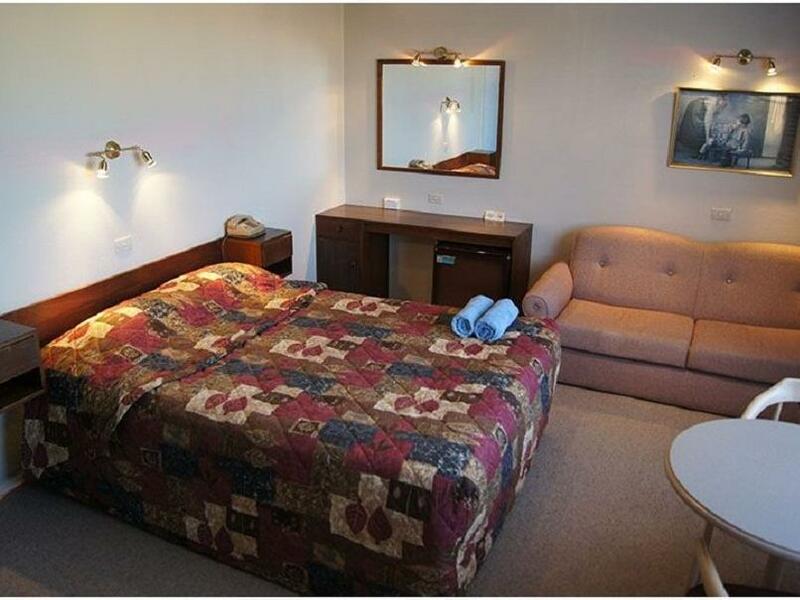 Comfortable room situated just a short walking distance from the Echo Lookout point and several walking trails. 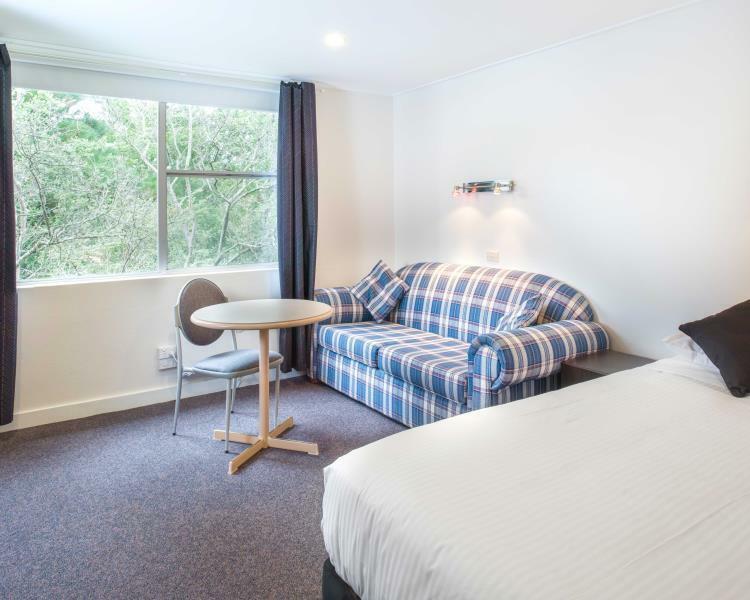 The motel is also walking distance to Scenic World (if you're up for it) and it allows you to make the best out of your trip to Blue Mountains if you're a nature lover. You'll definitely enjoy the scenic view through your walks as well as unlimited supply of fresh air. This hotel is very convenient, bus stop just outside and across the street. A few minutes walk to the 3 Sisters' lookout. Clean and staff very helpful and welcoming. Will consider to book here again on our next visit to Sydney. Location is just next to Three Sisters, literally you can just walk over to visit. It is quiet, yet doesn't leave you out from the world since the main town is drivable in 5 mins (for Food & Supermarket). Good service from Owner; despite checking-in on Xmas day, everything was prepared and one phone call settles it. Room is comfortable and clean. All the electronic appliances are new (oven, TV, heater). Satisfied. Very clean, friendly & helpfull staff, 2 mins to echo point & Cheap!! To those of you who love cleanness and looking affordable price, THIS IS THE ONE!! For a motel it was surprisingly clean (I mean mostl hotel have bad bed sheet smell, this one didn't smell at all and the carpet is also clean I guess coz I'm allergic to dust, and it doesn't recurrence), the price is the same as backpackers hotel (which is shared rooms & bathroom) but we didn't share our room & bathroom with strangers, microwave available, fridge available, kettle & hairdryer as well, so yeah it is super cheap. Reception staff is super friendly & helpful guy, he explain everything that we need. Location is great, just 2 min walk to echo point/ the three sisters lookout and very close to scenic world and the hotel provide discount to hotel cust for scenic world entrance (buy the ticket @ the reception). Very good stay, arriving late afternoon, did the railway, skyway tour first as was running out of time. Reception was good, easy fast check in, hotel is right beside the viewing area for the 3 sisters, walked there at night and in the morning. Reception gave directions to town for a meal. Wanted to try the breakfast but had to get up and head to the caves in the morning. Definately great value hotel. quiet and good location to assess three sisters and related walking trails. clean motel, surprised us by providing microwaves and small dinning table inside the room! so that we could go supermarket to buy some frozen food and some fresh vegetables to make healthy and simple dinner inside the room and eat on a dinning table, not on the bed. good! room is clean and tidy. will stay again if ever come to visit blue mountain again. recommendable. The reason we selected this inn was its proximity to the lookout at echo pont. We didn't regret this. Stayed for 2 nights. It's also close to the Scenic World where the one can take 3 different or combination of rides to enjoy the blue mountains.Jason, who attended to us was most helpful to our needs. 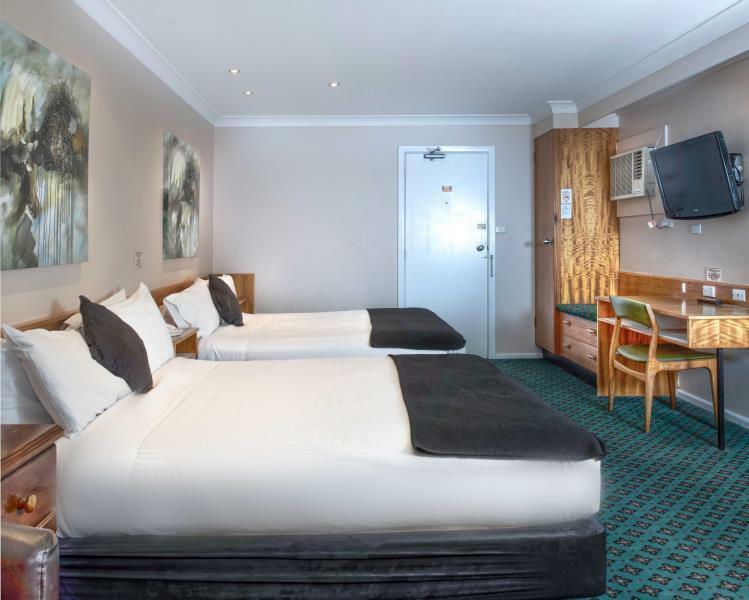 There are some restaurants in Katoomba which gives discounts if you stay in this inn. Staff is very friendly and informative. The location is only a short walk to Three Sisters and Scenic World. Room is new and clean. Hotel provide breakfast at good value price. Deffinitely will go back there again. This is our second time stay at Echo Point Motel after 5 years. Never regret coming back here. Clean and Value for money. It's walking distance to the 3 Sisters. Service was excellent by the 2 awesome reception - Alma & Stacy. Kitchen staff was awesome too. I will definitely come back here the next time when I'm here.